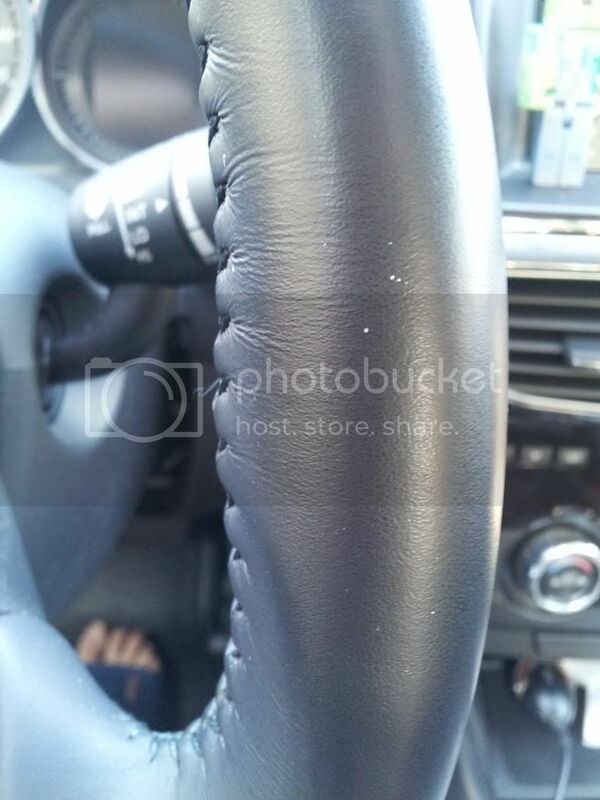 Mazda 6 Forums : Mazda 6 Forum / Mazda Atenza Forum > Technical / Performance / Model > Mazda 6 3rd Generation (2013-Present) > Leather Steering Wheel already fading.. Thanks for posting... so this seems to be a defect. My car is only 8 mos old. This is unacceptable to me. If anybody else is experiencing this.. please post. I will try to get a picture of mine. This can only get worse.. I will be bringing this up with the dealer... I want a new wheel !!! If I'm treating leather care products (which almost always produces shiny, slippery results) on the interior, one thing to leave out is the steering wheel. For safety reasons (of course), one needs not to elaborate. That's bizarre; it looks like some sort of bleaching due to chemical contact due to how localized it is. Yeah, that would bother me. 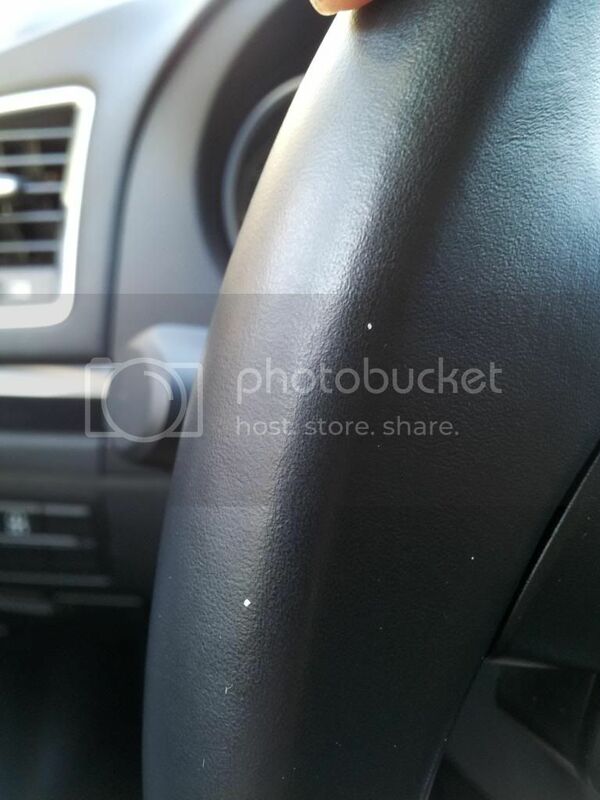 As I remember, these white spots (same on my old ride with almost silvery-like on Passat, also with black leather steering and interior) seems to have originated with something I had handled at one point. Apparently, I noticed these spots were even present on my black Tiptronic gear knob, the black leather hand brake lever and some on the left door leather arm rest and grab handle. None though on the leather seats nor other black leather or vinyl surfaces of the interior.I do not have these spots when my car was barely new then and I was on top of frequently wiping clean of everything my hand touches inside the car's interior constantly (same cleaning method as I do now on the M6)...But as the car got older (and therefore less "attention" on care , I'd admit), then these spots started to appear. It got stuck and ignored it (since the car was old) and it stayed...till I traded it in, for this car. I use Lexol cleaner and Lexol conditioner on my steering wheels. Doesn't make them shiny or slippery. If anything it make the wheel more grippy. I do the same on my Vette and my wife's CX-9 and BMW vert. The vert really needs protection as it gets the most sun.